#StrawberryFestival🍓 #Poteet #Texas #MarkDoesThings #StrawberryEatingContest Mark: I don't care about winning. I just want free strawberries. One day Mark and I wanted an adventure. Well, actually I wanted the adventure. Then I demanded that Mark find me one… and it had to be within a 3 hour drive of our house. I also specified that I wanted, “a good time that did not involve any temples, shrines, or hiking up any mountains or hills!” I was asking for a lot. Of all the tourist attractions in Japan, 90% are shrine, temple, or mountain related. Of the remaining 10%, we’ve already seen 94% of the ones within a day’s drive of where we live. Mark scoured the internet for something for us to see. He read through many blogs and websites with incomplete information until he found a few spots. Then he promised me three things, of which only 2 he would deliver. I would see a glowing cave. I could pretend to be Indiana Jones, minus the bone-crushing boulders. I could eat gold-flaked ice cream. I was excited! We woke up early the next Wednesday, packed some sandwiches and Costco cookies, and headed south. Mark drove for 2 hours and he parked at a train station. I wondered if the task I threw at Mark was too much for him. “The poor man has cracked under the strain,” I thought as I walked toward the ticket machine inside the station. “No, no, not there,” Mark called to me. “Over there! That train station.” He pointed up the road adjacent to the station. Mark ran up to a ticket counter in the first train station and bought tickets for the Toko Toko Train. He handed me my ticket and we walked up a small hill. He was right. He could not be blamed. Besides, the train was kind of cute. If it thought of itself as a train, who am I to say otherwise? I looked at the time-table for the “train”. It ran 3 times a day. By the time we got back with warmer clothes, the people waiting had been let on the “train”, though the tram was hardly full. We sat there enduring the 10-minute wait until the exact departure time. Every few minutes we stuck our heads out the non-windows to look into the tunnel. It was dark and we could not see very far into it. Once we started up we entered the tunnel. We drove for about 15 minutes in the dark looking at plain concrete tunnel walls. It was cold and very unspectacular. Then the walls started to glow. I tried to get a photo of it, but all I got were blurs. The low lights made it impossible to get a picture at the whopping 5 mph we were going. Part way, the tram stopped. We were let out to take pictures and walk around. I inspected the walls. Someone had painted tiny rocks with paint that glowed in black light. Then they glued those stones to big sheets of black paper and hung the sheets to the sides of the tunnel. Then black light was shone on the sheets. I’ve always said, “If your town has no tourist attractions, just make one!” This is just what they did. And, it worked. This place is quite popular. There weren’t many people on the tram the day we went, but we went on a day where spring was just starting to appear. In the summer, this place is… well, packed is probably not the right word. There are still only 3 round-trip rides a day, but I’m sure the trams are longer… maybe. On our ride we saw bats in the tunnels and wasabi in the fields. We almost saw cherry blossoms, but we were about a week too early to see the trees in full bloom. It was a peaceful ride until the tram started blasting out music to serve as a soundtrack for the view. The tram operators/ tour guides are all senior citizens. They wear orange jackets over dark-colored clothes. They seemed like a bunch of friends doing this tram thing for the fun of it. I don’t know if they are volunteers, but if they get paid, it can’t be much. They enjoyed being asked questions by the tourists and giving out information. They have a sweet gig. Though, I question their taste in music. When we got to the end of the ride, many of the tourists got off and headed into the woods. “Do you want to walk on the hiking path for a little?” Mark was clearly trying to provoke me. We boarded the tram for the 40 minute ride back to our car. We enjoyed the peaceful journey, but not the terrible music, and vigorously waved to anyone in town who waved at the tram. Pedestrians love to wave at people in trains (or “trains”) and I have never figured out why. I feel bad for them when no one on the train waves back, so I take up waving duties. Since there were very few tourists on the ride back and those who were, were tired from hiking, Mark and I had to step up our waving. Next we headed for the lost city of Mu. Do you remember that very old cartoon that played on Nickelodeon in its early days? It was called The Mysterious Cities of Gold. One of the characters was a boy named Tao. The other kids found him on their journey and he joined them to make the trio that the show revolved around. Well, that character, Tao, was from the ancient and lost civilization of Mu. It’s called The Mikawa Mu Valley, but it was really a mish-mash of the stuff on Ancient Aliens. (We really don’t know much about Mu. Many experts think Mu, like Atlantis, is just a myth.) 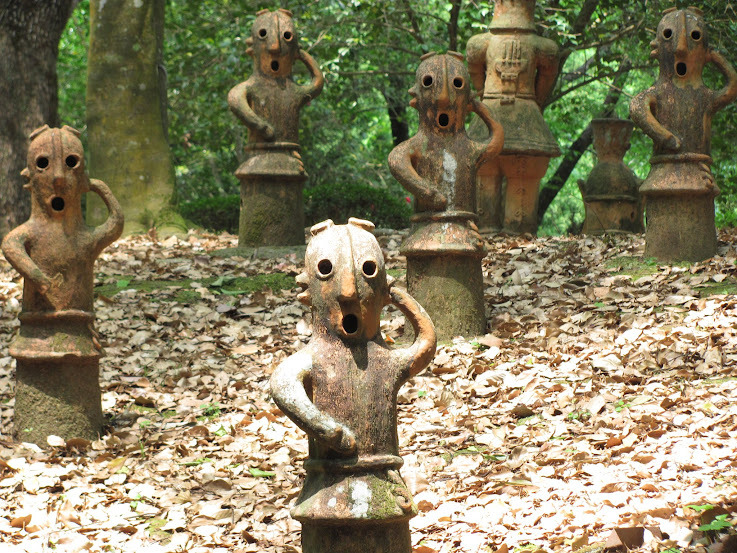 The Mikawa Mu Valley combines artifacts from Incan, Mayan, Aztec, and Egyptian culture to make a huge treasure hunt. It’s a big puzzle you walk around in. You have to look for clues that lead to more clues that lead to more clues… If you’re luck it will lead to an answer to the last question and a prize will be sent to you in the mail. There were several kids in the caves, but they all had adults with them. I don’t think a child could do this his or her own. 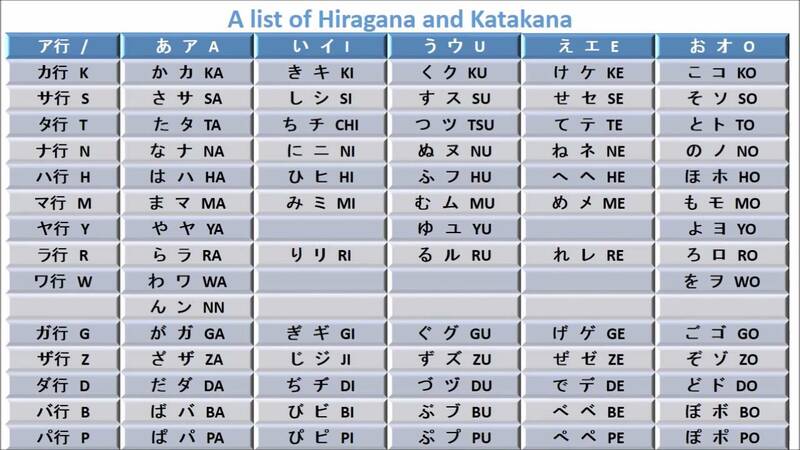 But, there was a lot more information in Japanese than in English. So, it’s hard to me to say how hard it would be for a Japanese speaking child. You are given a booklet with instructions and a flashlight-pen. Don’t get any ideas about following the people you see in the labyrinth and copying their clues. Not everyone is looking for the same clues. There are several courses that can be done at the same time by different groups. We did the one that came with a brown booklet. Mark and I had to follow the instructions of the characters called Muny and Muko, and only Muny and Muko. The other characters gave instructions for the course with booklets of different colors. Other than the booklet course, there are many other courses that can be done. We saw clues that were clearly not for any of the booklets. But I have no information on them. Just walking around in the cave was amazing. The owners went all out in planning and constructing this… I’m not sure what to call it. Walk-in puzzle? The adventure music at the start of the course enhances the atmosphere. Once inside, it’s cold and dark. There are ponds and water falls with ancient temples and artifacts down windy corridors. If I lived near Mu, I would be here every weekend until I did all the courses. There was a family with a brown booklet, like ours. We kept bumping into them, so we took it as a sign that we were on the right track. But then we saw them staring at a clue, that was clearly wrong. From that point, we should have diverged in our quests, but then they were right behind us again. We thought that if two sets of people came up with the same answer, the chances the answer was the correct one would be higher. But, if they were just copying us, we could have done something wrong along the way. We redid everything and ended up on a whole new other path of clues. When we had finished and posted our answer, the guy who runs the place was closing up. We wanted to enjoy some gold flake ice cream to celebrate our victory, but he had already shut down the ice cream machine. On our way to the car, we saw a sign for a big water wheel. We got into our car and drove to the water wheel. As promised, it was very big. We stood at the small house attached to the wheel. “I wonder what this wheel powers,” I said looking around for Mark. “There is a Buddha at the top of these steps.” He pointed at a map. But Mark couldn’t hear me. He was half way up the steps and he had my camera. “Let’s stop at a ramen shop when we pass one,” Mark mumbled through a cookie-filled mouth. Before we could get to a ramen shop, we passed a vending machine oasis. We had never really tried ramen at a vending machine oasis before, so we stopped. We tried a bowl of ramen and one of odon. The ramen was good, but the odon was only so-so. We sat at the wobbly plastic table on wonky plastic chairs eating our food and sipping our drinks as we watched cars race by. We thought about getting ice cream too. But something about the ad above put us off to the idea. You can enter Japan by plane or boat. Though, the number of boats going to Japan from other countries has gone down significantly. Americans get 90-day visas to Japan at the port of entry. Check with your nearest Japanese embassy or consulate for visa information. What time is it in Japan right now? China Uncensored: Why does China hate Japan? Be careful what over the counter drugs you bring into Japan. Actifed, Sudafed, Vicks inhalers, and Codeine are prohibited. International ATMs are really hard to find; more so if you aren’t in a big city. Many places in Japan do not use credit cards. Take cash and call your bank to ask what ATMs or banks in Japan will work with your cash card. The Post Office bank seems to work with the most international cards. Free parking across the street from the train station. In the summer, when Japanese schools are on break, this train runs every day. All other seasons, it generally runs only on the weekends. Check the website below for the exact dates. It is cold in the tunnel. So, if you go in spring or fall, bring a sweater. It is cold in the cave. So bring a sweater. Of course, they sell Inca Cola at the restaurant across the street. I didn’t even bother to count them. On the last day of our big camping trip we saw Motonosumi Inari Shrine. It’s a foxy little shrine with a great view of the sea. We took lots of photos here. But, no matter how many I took, I didn’t get one picture that look as nice as the one in the Yamaguchi tourism ads. But we could not stay long. Two of the group had to drive all the way back to Oita prefecture. We said our goodbyes to the best camping friends we had. We had been camping with Freda and Roland for the past 4 years. They would be leaving Japan the next July and heading back to South Africa. Hopefully, we’ll see them again in their hometown one day. Kintai bridge was only slightly out of our way, so Mark and I went to see it. We walked around the town a bit, but it was clear that the bridge was the main attraction of the town. We bought a grilled squid, which was not as good as the grilled squid from Tsunoshima. We sat on some steps and ate our squid while looking at the bridge. Then we headed home. To check-in the camp ground, go to the coffee shop, Country Kitchen. It’s at the top of the hill. Staying at the campsite gives you a discount at the coffee shop. But, I’m not sure what this discount is. I think it might be 100 yen off a waffle or something. There are no showers at the campsite itself. There is an onsen nearby (Kiwado Hot Spring/ 黄波戸温泉). A small towel comes with the entrance fee, but you might want to bring your own regular sized towel. During the holidays, all the toilet paper gets used up by day campers. You should bring some TP of your own for the evenings. There is free parking in an open lot across the street. The coin box, where you would put your temple offerings, is on the top of entrance torii. If you can throw your coins into the box, your wish will be granted. In August there are fireworks displays at night. At night the bridge is illuminated. There are many food vendors around the bridge in the afternoon and evenings. You can also enjoy traditional cormorant fishing near the bridge, but have no information about that.